This spring I've been test riding a 26" wheel Sogreni city bike, and some readers have asked what I think of the 26" wheels - specifically, do I find the handling sluggish and do I think the frame could fit a 700C wheelset. The answer is that I do not find it sluggish at all, and believe that the 26" wheels were a good choice for this frame - allowing for aggressive front end geometry with no toe overlap. The bike is pretty fast and maneuverable, and I do not notice the wheel size at all. Back when I was riding a Pashley Princess and describing the handling as slower than several similar bikes I'd tried, many expressed the opinion that this was due to differences in wheel size. The Princess is fitted with 26" wheels, whereas the other bikes I compared it to were fitted with 28" wheels. Despite a few contradicting voices (most notably that of Jan Heine), it is commonly believed that larger wheels are faster, and that it is always better to use 28" or 700C rather than 26" or 650B, unless the builder/manufacturer is trying to achieve something specific with sizing or clearances. While I cannot contribute scientific evidence to the wheel size debate, personally I am comparatively indifferent at this stage. I've ridden fast bikes with 28" wheels, 700C wheels, 650B wheels, 26" wheels. I've ridden slow bikes with 28" wheels, 700C wheels, 650B wheels, 26" wheels. 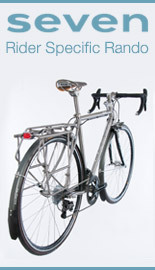 Recently I tried a very cool 26" wheel roadbike, made by Richard Sachs for a local cyclist. I would need to put it through a real road test to really comment about it, but around the neighborhood I could not discern any difference in handling, any hesitation in accelerating, compared to a 700C roadbike. And the proportions work so nicely for a cyclist of shorter stature, maybe even for someone my height. I am surprised that shorter women getting custom frames don't go for 26" more often. Folding bikes and mini-bikes suffer even more from the small wheel bias. Just the other night a friend was telling me that he finds the idea of a folding bike convenient, but cannot imagine the small wheels being adequate. Having ridden Bromptons on a number of occasions now, I disagree as does the Co-Habitant. While I am sure that some folding bikes are slow, it probably has more to do with how the bike itself is designed than with the small wheel size. To me, the 16" wheels on a Brompton feel no slower than full size wheels. I have also spoken to cyclists who ride Moultons and Bike Fridays with dropbars as their main roadbikes, finding them more than adequate for club rides and pacelines. I am not saying there are no discernible differences between wheel sizes, all else remaining equal. But in the scheme of things, there are so many other factors affecting speed and handling, that I feel the importance of wheel size is disproportionally stressed. It seems to me that getting the tubing, geometry and positioning just right for a cyclist of a given size should be the primary goal, and the wheel size should be a function of that - not the other way around. I am open-minded about smaller wheels and would like to try more bikes with them. 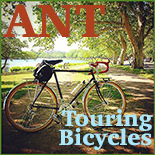 I am just as comfortable on a 27" wheel on my touring bike as with 26" wheels on my other two bicycles. For some of us the speed doesn't factor in. Of course my touring bike is faster. But I gotta tell you that wedging fenders on that bike leaves so little clearance that picking up stones is common, especially on wet days. The rattling drives me crazy. There is also nearly toe overlap - I clip the fender stays every once in a while. Yet both of my 26" bikes have plenty of clearance for fenders. I agree there is a lot going on geometry-wise and one shouldn't choose a bike primarily for a specified size wheel. I do not find it sluggish at all, and believe that the 26" wheels were a good choice for this frame - allowing for aggressive front end geometry with no toe overlap. This is misleading, because even though smaller diameter wheels allow for a steeper head tube and/or less fork rake (both of which are parameters of "aggressive") without toe invasion, a smaller wheel reduces trail without changing any frame geometry of the bike. This effectively counters any "aggressive" gains by a steeper head angle or less fork rake. Oh, and small wheels rock! I wouldn't call the 20" wheels on my Bike Friday tandem sluggish at all! If anything, smaller wheels have less rotational mass, making them accelerate and brake faster than larger wheels. After a couple of weeks, I do find my Brompton harder work than my normal bike but there are so many variables, including the gearing and the riding position. I particularly find it more 'twitchy' - don't know if that's a wheel size thing or what. It's still a blast to ride though and so handy to have a go-anywhere bike that you forgive it for not being anything other than itself. 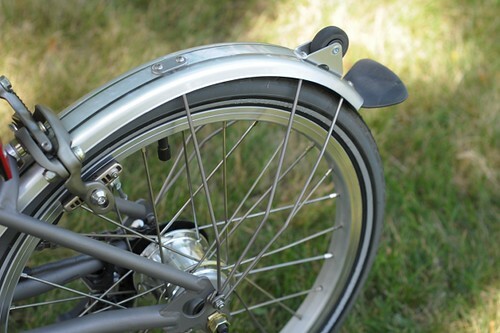 The Brompton is known for having crazy low trail (like 24mm), which can cause it to feel twitchy without a front load. My Bike Friday feels very similar. My Bike Friday NWT feels twitchy on fast downhills compared to my other bikes, but when you get used to it, it's no big deal. Just a little different. The Brompton does behave like the other low trail bikes I have ridden. If I am transitioning to it after a long time on a normal bike, the handling does feel disconcerting at first. However the feeling goes away eventually and it becomes the new normal. somervillain - But isn't the 24mm figure less crazy-low considering the Bromton's wheel size? Am I understanding how this works incorrectly, or would it be the equivalent of maybe 30mm trail on a standard sized bike? it is Fast, handles very well and will put up a fight against the best large wheel cycles! If you find the Brompton harder work than other bikes, it might be worth fiddling with the suspension block. You can make it harder by putting a hose clamp/jubilee clip on it and tightening to taste. But isn't the 24mm figure less crazy-low considering the Bromton's wheel size? Am I understanding how this works incorrectly, or would it be the equivalent of maybe 30mm trail on a standard sized bike? As far as I know, trail is trail. However, that is not to say that small wheels introduce a whole slew of other ride characteristics that might be confused with the effects of trail, such as reduced gyroscopic action. This may contribute to the feeling of twitchiness, especially at low speed. There's way too much emphasis placed on wheel size for road-going bikes imo. In the dirt the difference is large. Little wheels do spin up faster; holding speed is a different question. 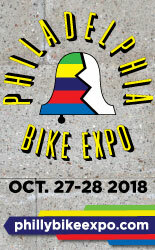 6ft 1 inch tall, 176 pound rider looking for a 650b bike (yes, I'd like smaller wheels) It's come down to the Boulder, the rSogn, or go custom. I like a horizontal top tube so those 2 are out. Are there any other semi-custom production bikes that I might be missing? 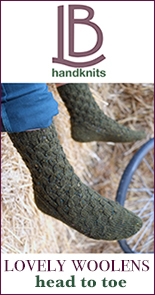 The Polyvalent and Pelican are also out due to sizing. Velouria, just read your article in BQ - well done! Are you going custom with the maker of the test bike by any chance? I personally am quite tiny - 5'3" is "with shoes on". My main ride is a Surly LHT with 26" wheels, and has absolutely no toe overlap, despite the 46 cm frame and full fenders and I've adjusted to it so nicely I've mostly stopped looking at wheels bigger than a 650B just because in a bike that fits me, the weird things they have do to the geometry just to wrap a bike that short around wheels that big not only seems to affect the handling, but makes the bike look stretched out and out of proportion. I own the Surly LHT in both 26" and 700C wheel size, both 58cm frame size. I had the 700C size for about a year, when I decided I wanted the ability to put a wider city/commuter tire on my rainy winter rides, and the 26" option allows up to a 2" wide tire with fenders. So, after a year of riding both of them, there's no noticeable difference. The 26" version has no toe overlap, even with a big fender. The 700C wouldn't have toe overlap, except for the fender. I too am astounded that the 26" wheel size isn't utilized by smaller statured men & women. I can't imagine the ridiculousnous of some of the really small sized Surly LHTs with 700C wheel size, when there is a perfectly good option in the 26" wheel size. My views on wheel size and its impact on ride quality and "fastness" have definitely changed over time. Back in 1988 for my second Race Across America, I had a custom bike built with a 700c rear wheel, but a 24" front wheel, because I wanted the presumed extra speed of that smaller front wheel. It worked fine for me, including at very high speeds. In the past half-dozen years, I've come to really dislike 26" wheels at nearly all times, especially on the road. I just feel like I can't get those "little wheels" moving, and staying up to speed, in the way that 700c wheels will go, and keep going. I have also come to prefer 700c wheels with 32mm cyclocross tyres to 26" wheels with knobby mountain bike tyres in most circumstances off-road. The 26" wheels feel like "kid's bike wheels" or "just too small." This is one of the main reasons that my Rivendell All-Rounder is for sale, by the way. I'm just shy of six feet tall, by the way, and have a 77cm seat height. I've definitely recommended 26" (and 650C) wheels for road bikes for friends of mine who are much shorter. For them, I'm guessing they feel just right. I have to say that I'm agnostic about wheel size, I've got one of each (650b 26" and 700c.). The 26" is slow, but it's a surly big dummy. The 650b rawland dsogn is the fastest bike I own and the most comfortable. Aside from the fact that I look like a bear on a clown bike on tiny wheels, the biggest determiners of speed that I've seen are geometry that works and tires. I don't doubt that a very fast folding bike could be made. I've tried 700c wheels on the rawland and the 650b wheelset on the salsa and neither was what I would call an improvement. I am borrowing a 650B Rawland this week, literally just dragged it throughout he door! Will be interesting to compare it with my 650B Rivendell. I bought it more or less on a whim when the frame came up in my size on eBay for far less than it should have gone for. It's now my favorite bike. It'll be interesting to read your impressions. I find it indifferent with 700c wheels but with 650b and hetres it glows. I've been trying to put my finger on what I like about it but I don't have enough experience with different geometries to quantify any specifics. Where do you keep all these bikes? I feel like you mention another each post, and I can't help but wonder how you store all of them. Do you have bike storing secrets you can pass on, because my boyfriend and I have trouble storing just our two? Oh you don't want to know. On hooks in every room, propped up against book cases, propped up against each other. We live in a tiny apartment and bikes are definitely the overwhelming theme of the "decor"! As a taller rider (6'3") I tend to prefer bigger wheels. For me it's about geometry and center of gravity. But I've never had any real trouble with a 26" wheel mountain bike or my (currently defunct) Raleigh 20. There are definitely many factors other than just wheel size that affect ride quality. The difference between a 559 rim (Schwinn 26) and a 622 rim (700C) is 10%. Not a lot really. 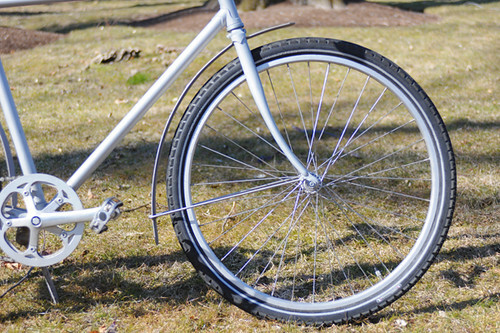 As originally conceived the Schwinn balloon tire was a full 2-1/8", except when it was even bigger. That's a 55mm tire in today's terms. The difference in rolling diameter between 55-559 and 23-622 is 1%. There's a reason why after a century of experimentation in the aspect of bicycles that is most relentlessly fiddled with things keep coming up just about the same. It relates to the sort of real world obstacles a tire meets going down the road and the proportions of the people who use them. Tires and rims small enough for a Brompton or a Friday have to be built heavy to survive at all. The angle at which tire meets any obstacle is much higher than with a full size wheel and the tire takes a beating. The idea that small (much smaller than 26) wheels substitute at all only works at low speeds. I met some paved-over, rounded-off frost heaves last weekend on a descent at 98kph. They just weren't visible in the light I had. No problem on 700s, just fun. On a Friday I'd have landed in a tree. The same problems apply less dramatically at all speeds. The slight differences between 559-584-622 will be less noticeable to a person on the smaller side of that scale. Since the best tires you have are on 584 rims that blurs some distinctions too. Most of it is the bikes that tend to get made with various size wheels. I'm not sure that I have anything to add to this discussion except to say that every time I start thinking I have all the characteristics of something bicycle related figured out, I soon enough have to come to grips with something that makes me realize I'm too easily deceived. I think that's pretty cool by the way. I'm not the one to explain all the technical reasons why, but if anyone thinks smaller wheels are inherently more sluggish than larger wheels, they should attempt to get around a well ridden 20" BMX bike on any 24" or 26" BMX Racer. I realize this is an extreme example but so often it's the extremes that allow us to isolate some of whats going on. A modern BMX track is a finely groomed snaking thing that doubles back on itself and begins on a huge starting hill. It rewards agility and acceleration like no other bike event and 20" race bikes absolutely rule. Maybe there's something to it. I'm 6'7" and ride a 23" frame hardtail MTB with 26" wheels and a pannier rack. Being only 5'3" on a good day, I ride either 650c or 26" wheels. 700c feels too big for me; I feel like I have more control with the smaller hoops. I ride 650c Continentals on my Bianchi - they're plenty fast, grip the road well & last a long time. And 26" Schwalbe Marathons on my Riv. Those wheels are wider, and the rims heavier, so it doesn't feel quite as fast. But the frame geometry on my Riv A-R isn't as fast either. So that could have a lot to do with it. Either way, I have no toe-clip overlap and the bikes look appropriately proportioned (46cm frames). As one poster said, the smaller wheels "just feel right". "Back in 1988 for my second Race Across America, I had a custom bike built with a 700c rear wheel, but a 24" front wheel, because I wanted the presumed extra speed of that smaller front wheel. It worked fine for me, including at very high speeds." I think Terry used to make her smallest roadbikes with a 24" front/700c rear wheel. And I think some world speed record for an upright bike is still held by a Moulton. So while there may be other issues with smaller wheels, I don't think that they are inherently slower. I think it depends on the application. Years of riding mountain bikes(oh what were we thinking) had me very used to 26inch wheels. Great for trails and back country, okay for roads. After all the mountain bikes I got a 700cc wheeled hybrid and the wheels were probably too big. The frame was silly and awkard to fit the large wheels. I do however have a serious hate on for the 26" wheels on my surly lht-or the lht itself is the problem more than the size. As a 5'2" elf 26" wheels should make sense, but they don't work for me. I am going to do a 650b bike build in the future, and was going to do a 650b build on a trek frame. However I realized that the trek frame is only a little bit too tall and that 650A would probably give enough clearance without getting too small. 650A which is standard on old british 3 speeds is an under appreciated wheel size perfect for short riders that is also very affordable! The rims and tire options are limited though. Many little people designed bikes are built with 650a size in mind. 650a makes more sense than 700c wheels for me and it is a bit silly that such a small frame was designed for 700c wheels. Toe clip overlap is a design issue, not just a wheel size issue. Respectively '99 650c Riv fixie custom road, and 2003 559 Riv custom road. Wonderful. And handling and fit are wonderful on both; IMO, Grant nailed them perfectly. Since all my bicycles have been purchased secondhand, I never really thought about wheel size--matter of fact, two of the four bicycles I've owned as an adult had Ye Olde 27" wheels. Of my current bikes, one has 700's and one has old-school British 26". And honestly, I prefer the smaller wheels, because 1. no toe overlap even with wide tires and full fenders, hallelujah, and 2. the bike with 700's is a 48cm frame, and honestly, I think it looks a bit disproportionate. With my frame size (about 50cm), I'd much prefer manufacturers to just put smaller wheels on the bike. On the big tour last year, I met a woman about my size with a Surly Cross Check. I asked her why she'd picked the CC instead of the LHT, and she said "I could get the Cross Check with 700C wheels, but the LHT in my size only comes with 26" wheels." I replied, "Why does that matter?" and I swear to you, she just gave me a blank look like she'd never thought about it. Someone had told her, I'd guess, that 700C-sized wheels were better, but she had no idea why. I saw someone last week with the tiniest diamond-frame bike. The woman riding it was about 4'8" or so, the bike was from the mid-80's and had 24" wheels! It looked like a regular bike of that era, but in perfect miniature. The woman riding it said it was a lucky find and she loved it. A faster bike requires less effort to go the same distance. Speed isn't the only thing that's important on a bicycle, but bicycles should not be *unnecessarily* slow. Comfy bikes are often slower--that's fine. Speed does not always matter. But I prefer if limitations in speed are due to me, and not the bike. It is frustrating to want to go faster and feel that the bike is not responsive to my effort. I can ride my "fast bike" fast or slow. But with slow bikes I have no choice. Us crazy people who go fast break stuff fast. Then it gets redesigned or pulled from production which makes the slow people safe. While that has 26" wheels, these wheels are 590mm wide. That's why these wheels are called 26" x 1 3/8" wheels (or if you want to get fancy, 650A) instead of plain ol' 26". Heck, 650B is even considered 26". So you have experience with yet another size of wheel, one left out of your list above. As a card carrying member of the 26" x 1 3/8" Appreciation Society, my feelings are hurt! I demand, yes, demand, an apology! And a correction of the original post. Yes, 26" x 1 3/8" should stand shoulder-to-shoulder with plain ol' 26", 650B, 27", 700C, 28", and whatever lesser sizes you can throw at it. 26" x 1 3/8" - The true wheel size of the Retro-Grouch! 26" x 1 3/8" forever! I love my 590s, and i even love my cr18 rims. The 590x37 delta cruisers are kinda loveable, too. The only thing I don't love is the dearth of rubber available for these things. I think the 1 3/8" size is fine, but I'd like more options for tread, weight, etc. So, it is kind of important to make those distinctions. Plus, there's a world of difference between 559s and 590s... I honestly think that things would be kept more simple if we just discuss these things in clear terms. My only personal bike this year is a 20"-wheeled Bike Friday New World Tourist. Since I have 40-406 tires on it, the real wheel diameter, with tires, is more like 19 inches. I've gotten so used to it that when my wife bought a 700C bike recently, the wheels seemed huge. The 26" wheels on the Vélib' share bikes that I use frequently don't seem giant, just large, but that's probably because the rear wheel is covered by a large plastic fender/skirt guard, and the front wheel is hidden by a basket. I did notice one drawback to the 406 rims yesterday, after a steep descent on a road with lots of potholes, necessitating a lot of braking (and a stop sign at the end! boo hiss! ): the rims were quite hot to the touch by the end. I was braking hard, then letting off, so that I wouldn't blow out the tire. A 622 rim, with 50% more volume (other things being equal), would have stayed somewhat cooler. I have blown out a tire on a Moulton going downhill. Not a big hill and one I am quite familiar with. Probably going 35-40mph. You don't want to do it. You don't want to blow a full size tire either but I like my chances with full size a lot better. Might not get lucky twice. The small tires are more prone to many problems beyond rim heating. Think starburst rupture to the casing and all the reasons that happens easier on a small hoop than a big one. Think tire wear and tire heating. Small is fun and compact is useful. There are limits. I've read that 700 wheels are more stable on decents. Generally, the 26's are suppose to be more maneuverable and faster to start. I personally like the 700 wheels. They fit my riding style and I don't generally go off road that much. Because of the hills here, I tend to go with a 23x to 32c tire width. Fatter tires or larger [28" wheels] feel too sluggish to me. I prefer bicycles with 590 mm in urban settings, 559 mm when riding on trails in the forrest and 622 mm on rural tarmac or for roadster purpose. Haven´t tried 584 mm. We still have tires in 590 mm here in northern europe. My apologies. I was so flustered in my last comment, I mistakenly said silly things like 559mm wide wheels. Instead I should have said 559mm diameter wheels. Seems like this must be mostly a mental effect. Physics says that the smaller wheels will have higher rolling resistance, but physics also says that if you are actually going fast, the rolling resistance is down in the noise -- it's all wind resistance. Racers use skinny tires not because they have lower rolling resistance (at attainable pressures), but because they have a smaller cross section, and hence lower wind resistance at high speeds. Someone already hit on this above, but when we're talking about wheel diameter, it's important to take the tire's cross-section into account. A 559 rim with a 2.1" tire is only a few mm different than a 622 with a 23mm tire. A 584 with a 42 and a 590 with a 38 or right there, as well. Now, the squish of a given tire becomes another factor as to road feel, and does have a slight effect on the effective diameter of the wheel, but the basic geometry isn't effected as much as one might think, depending on the rubber being ran. (To put it more succinctly, the bike's overall geometry isn't going to be altered much if the wheel's "circles" remain the same size, even if one i s a puffy circle and the other is a skinny, hard circle...668mm for a 700x23c versus 669mm for a 26x2.1 will not alter the geometry that radically...nor will it effect TCO. Now, of course, most of you will probably be running scrawny 559x38mm tires, which will make for different sized circles, different geometry (including reduced TCO), and it will drastically alter the bike's feel. I read somewhere that Grant/Bridgestone ditched the 26" x0 series b/c skinnier tires on a 26" makes for a harsh ride. Bottom line, more important than the nominal size of the rim, the frame/fork geometry, the tire in question, gearing, and a myriad of other factors will have a greater effect on handling. Wheel size, when we're talking about radical differences, will have a massive impact on the frame's geometry, but going from a 622x23 to a 590x38 on my old roadbike didn't have an appreciable effect on handling. The fatter tires have made the ride smoother, but the bike still handles as it did before. What you describe is exactly why I'm starting to think 650B might be the ideal wheel size for mountain bikes. It started to seem kind of obvious when I started to see bikes with 29" front wheels and 26" rears. Unrelated to this post...did you see the conditions in Death Valley for the HG100? Turned out to be fortuitous that you didn't try that one - hardly anyone could finish due to the 50mph winds. Um yes indeed, I heard! They've put up some pictures of what the road looked like. I have a 28 inch-wheeled bike, a 26-inch wheeled bike and a 16 inch-wheeled Brompton. The Brompton is by far and away the fastest of the lot. What about road conditions and wheel size. We blew up the side of a rear 622 mm tyre on a tandem + had a dangerous bulge in the same side of our front tyre and it was said that road conditions, weather and night riding in a pelotion that was the cause (in PBP Audax 2011). Should we have used a broader tyre in 584 mm ? I ride a full range of wheel sizes from a 28"(635) down to a 16"(349) and everything in between. I have 3-4 bikes that are set up pretty much the same in terms of gearing and cockpit size only difference is the wheel size. They all roll out about the same over a given distance. I am no longer a competitive rider so they all work for me. In my competitive days I had more than my fair share of losses to guys on small wheeled bikes, primarily BF Pocket Rockets, those guys could haul! Bike geometry plays into it as well. Anyone looking for a folding bike who doesn't want to ride small wheels should check out Montague. I found them when I was looking for a folding bike with full-size wheels. It's not really any heavier than the small-wheeled bikes, it rides great, and is super easy to fold. I think that 700C/29"/622 wheels are widely overprescribed. For someone who is over 6' tall or who is racing they make sense, but in other cases there are many compromises, namely toe overlap (ESPECIALLY with fenders) and sluggish handling. My Dahon folder with 20"/406 wheels is a bit twitchy, and not particularly adept off-road, but is also wonderfully agile and really quick to accelerate. My Hillborne with 700C/622 wheels, on the other hand, handles a bit sluggishly, but rolls over obstacles and descends with supreme confidence. My Thorn Raven, with 26"/559 wheels, has a magic combination of stability (due to the touring geometry and not present in my past 26" mountain bikes) and agility (which I ascribe to the wheel size) that I didn't realize was possible. I'm increasingly beginning to think that for mountain biking and non-racing road riding, the sweet spot may just be 650B. Seems like the industry is beginning to agree. Bottom line for me is that wheel size should be somewhat dictated by body size. If you're short, go with 26"/559 across the board. If you're tall, 29"/622 should work for you with no compromises in the larger frame sizes. For the rest of us, the ticket just might be 650B. For touring, 26" has its advantages (strong wheels, huge/wide slicks available, spares readily available internationally) regardless of the size of the rider. My riding buddy, who is well over 6' tall, has a 62cm, 26" wheeled Surly LHT for touring and loves it. Anyway, great discussion, folks. Refreshing to find one about this subject that doesn't fall into negativity and head trips.